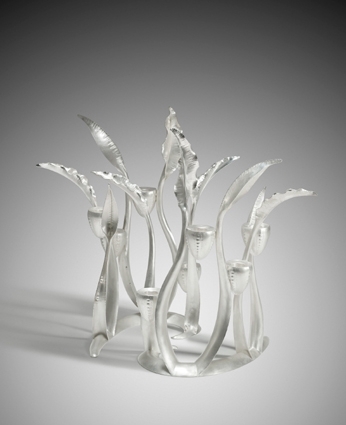 Candelabra commissioned by Asprey, inspired by an undersea forest of foliage. Eight candles are supported at different heights, and the two elements can be arranged in various formations to sculptural effect. 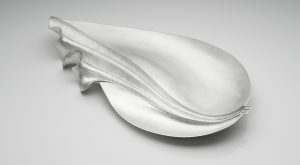 A combination of Fold-forming and Anticlastic Forming. 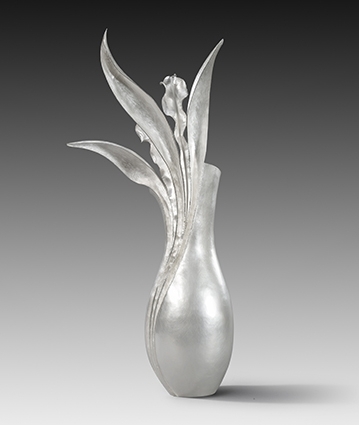 Sterling silver, height 45cm . Rauni’s workshop is in the mountains of Snowdonia, where the dramatic scenery and untamed natural environment inform her designs. 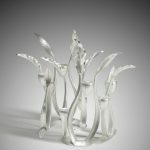 Her work is highly sculptural, but always designed for function; the fluid forms come alive when used as they were intended. 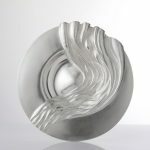 Movement, flow and growth patterns are a particular preoccupation, as she strives to capture something of the beauty of nature, without directly imitating it. 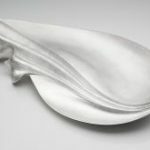 The Goldsmiths’ Company Collection includes six of Rauni’s pieces, notably the ‘Mountain Burn’ Rosewater dish as part of the Contemporary Buffet plate. 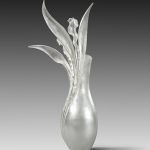 Her work is also in the National Museum of Wales collection in Cardiff, and private collections around the world. 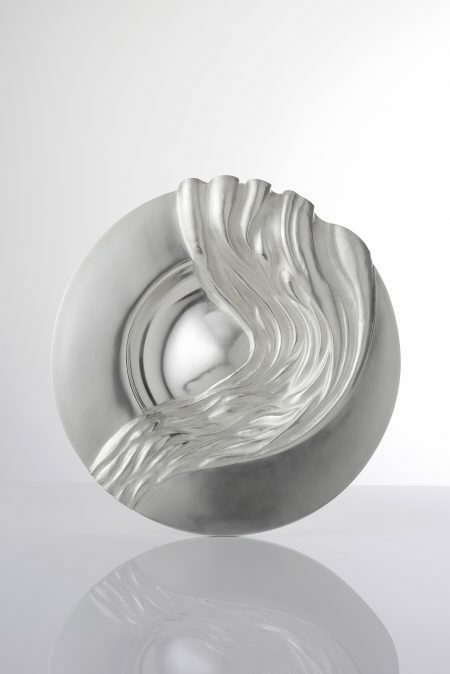 Commissions include a Royal Wedding gift for the Duke and Duchess of Cambridge in 2011. How to contact Rauni Higson.